Hindsight is 20/20. And the story of director, director, ‘s first meeting with Kristen Stewart is no exception. In late 2007, Stewart had already been selected to play the part of Bella by first “Twilight” director Catherine Hardwicke — who had also helmed ’70s-set beach-skateboard flick “Lords of Dogtown” (2005). Hardwicke had been tipped off by one of her “Dogtown” actors, Emile Hirsch, to Stewart’s talent. “Her mixture of innocence and longing just knocked me out,” the director told Entertainment Weekly in 2008. 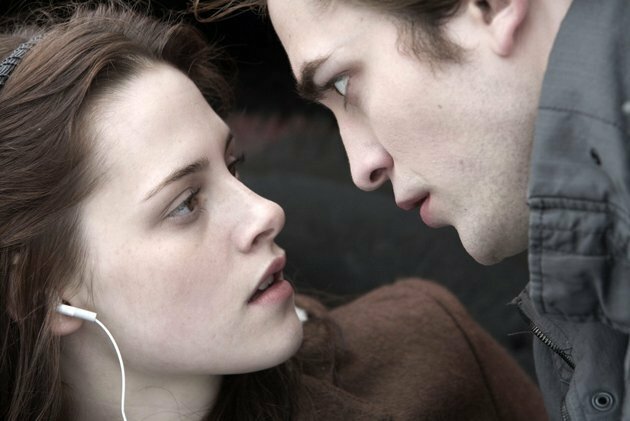 But Hardwicke was having a tougher time finding her Edward and is said to have even enlisted the help of Stewart in her vampire hunt. The search for Edward involved 5,000 hopefuls, almost 100 of whom met with Hardwicke directly. Eventually it came down to to a final four — Ben Barnes, Shiloh Fernandez, Jackson Rathbone (who was later cast as Jasper) and, of course, Pattinson. But Hardwicke wasn’t too keen on Pattinson at first — who may have been lucky to have made the cut at all. “I looked at a couple pictures and was like, ‘I’m not sure,’?” Hardwicke recalled last year, adding, “He had been fired from his last job, he was unemployed, he was in debt.” Pattinson actually paid for his own flight from London to Los Angeles for the opportunity. The audition was held at Hardwicke’s house in Venice, CA, where Pattinson first met Stewart. “I have footage of their first meeting at my dining-room table,” Hardwicke said. Hardwicke remembers Pattinson’s first take as being “wild” — so much so that she had to remind him the movie is PG-13. But he and Stewart proved themselves in later takes. Hardwicke has often noted their instant chemistry — “that electricity.” And Stewart felt it too, demanding immediately that Pattinson get the part. This entry was posted in Current Afairs, Movie, news and tagged bella, breaking dawn part 2 release, catherine hardwicke, director, edward, emile hirsch, entertainment, first twilight, hindsight is 20 20, innocent, interview, interview in bed, jackson rathbone, jasper, kristen stewart, lords of dogtown, los angeles, movie, robert pattinson, shiloh fernandez, twilight, twilight 2012, twilight breaking dawn part 2, twilight saga, vampire hunt, yahoo.com. Thankyou so much 🙂 yeah i love robert pattinson too 😀 lol thanks…keep reading !